It seems that everyone is pressed for time this year. 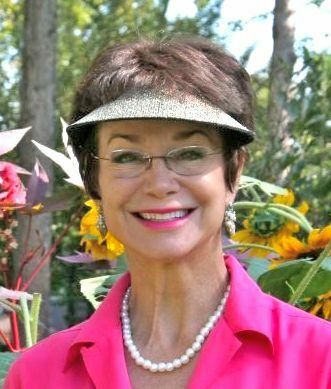 Here are 3 classes (9 hours) covering Gardening Essentials to give you a fast start to successful organic gardening. The price is $95 and will still include the usual research-based course materials and Q&A after class with me by phone as needed. Thursday, March 28th or Saturday, April 6th, 9am to 2:00pm, lunch provided. Ellen’s house & garden, 8140 Witty Road, Summerfield. 9am-11am Soil Science and Why Organics Matter: Organic gardening is a process, not a product, and it all starts with the soil. 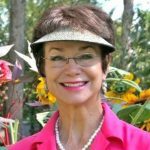 You will learn the importance of soil, why pH matters, how to take a soil test, how to create new planting beds and rejuvenate existing ones, organic soil amendments, nutrient balance, and the role of microorganisms. You will receive Soil Test Kits from the NCSU Extension Service and instruction in how to use them. This will be mostly an indoor class, but there will be an outside “show and tell” of the most cost-effective organic soil amendments, where to buy them and how to use them. Deterring furry pests in the garden: (30 min) Controlling deer, rabbits, moles & voles . Gardening can be an exercise in futility if you do not have the “varmints” under control. Spring veggies, herbs and flowers including asparagus (a beautiful, edible perennial), potatoes, onions, lettuce, arugula, beets, peas, spinach, parsley, cilantro, dill and edible flowers. How to prepare a new planting bed. When and how to sow seeds vs planting seedlings. How to grow your own vegetable and flowers from seed. Planting schedules for spring, summer, fall. Where to buy seed, transplants, plant supports and fertilizers. Various types of organic fertilizers and the real meaning of those N-P-K numbers on the bag. Essential tools that make gardening easier. How to plan for your summer garden, including veggies and flowers from seed. How to read a seed catalog and a seed packet. Proper planting techniques for planting shrubs and trees for successful growth, even those sometimes fussy azalea and rhododendron. The “essentials’ covered in this first 5 hour class will prepare you to head home and immediately put your learning to work in your own garden! Sunday, April 28th, 2-4pm – The private garden of Dr. Graham Ray, 1100 Rustic Road, Greensboro, NC 27410. Shade gardening is not for sissies! It means trying to grow things in a challenging environment. There are usually trees providing the shade so the ground is often root bound and dry as a bone. Then of course there is the lack of sun, an essential ingredient for photosynthesis! 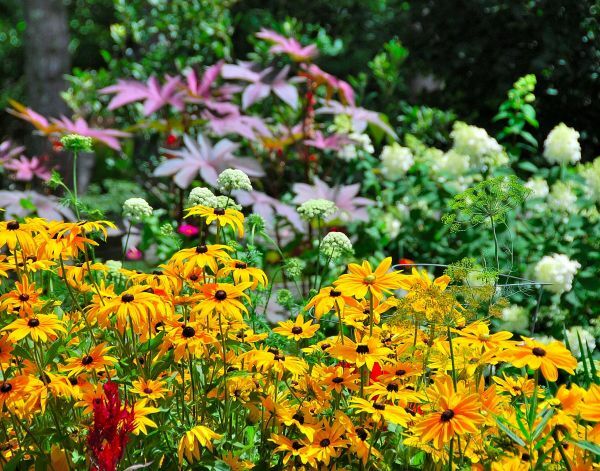 You will spend 2 hours in the amazing garden of Dr. Graham Ray, possibly the most gorgeous shade garden in the Triad. We will show you plants that thrive in this environment and discuss how to grow them successfully. You will receive plant lists for future reference. I will also review and discuss results of SOIL TESTS you should have received from NC State. Learn about the best varieties of shrubs and trees that take you far beyond the 20 common plants you find in the average landscape. You will also learn a lot about garden design and the use of stone and hardscape in this amazing garden! This Interactive outdoor walk will focus on how different trees & shrubs can be used to create a low-maintenance landscape with beauty and color. You will see how plants look at maturity (vs. in a nursery pot) so you understand their size and features. We will discuss individual plants and various cultivars you may want in your own garden! Choosing “the best” plant depends on its requirements for light, water, and soil (including pH), and whether it will grow to be the right size, shape and color to fit your landscape design. Shade lovers will wilt and burn in the sun and require lots more water. Sun lovers get leggy and lose their color in shade, attract bugs and disease. How to read a nursery plant tag. Plants that deer don’t like. Shrubs for sun and shade. Email me with your choice of the first class date. Send your check for $95 made payable to “Ellen Ashley”. Don’t hesitate to call me with any questions!